Independent UK developer and publisher Rebellion proudly announced that Battlezone Gold Edition will be released on the PlayStation 4 this May. This will be a simultaneous release with other gaming platforms. Battlezone is initially released as a PlayStation VR launch title and later for Oculus Rift and HTC Vive. 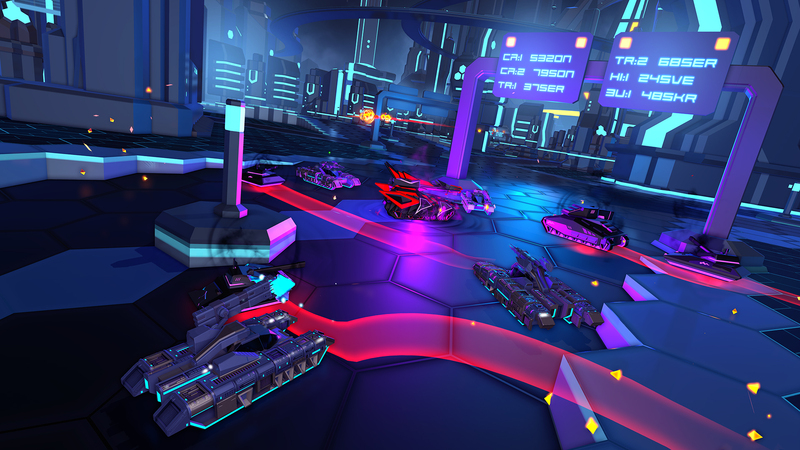 The game offers hours of futuristic tank warfare in first-person view. It deals procedurally generated campaigns up to four players, and makes sure that no two playthroughs are alike. Anyone who already owns Battlezone on the PS4 (for the PS VR) will automatically upgrade to the Gold Edition. This means that all extra content and the ability to play without a VR headset will be available for free. Battlezone offers unrivalled battlefield awareness, a monumental sense of scale and breathless combat intensity. Experience a thrilling campaign for 1-4 players where different environments, enemies and missions blend together across a procedurally generated campaign. No two playthroughs will be the same! Unlock more powerful tanks, weapons and special equipment and pick from hundreds of deadly combinations! Experience where it all started with Classic Mode – featuring original two-track controls and worldwide leaderboards to test yourself against! Battlezone will get released for the PS4 on May 1, 2018.